We offer all our customers a 14-days no-quibble money-back guarantee on all our products if the colour is not suitable, providing of course that the product is returned with the gold hygiene ties still in place and also wrapped in the original wrappings. 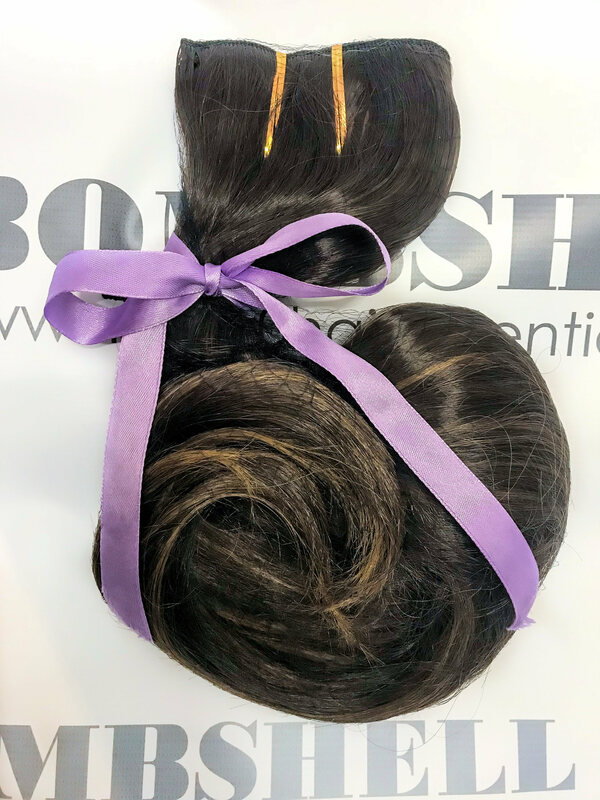 As long as the above conditions are met we can accept exchanges so please contact our sales team via Email for colour matching; alternatively you may also return the item with sample of your hair colour which we can then match to a new extension. If you are returning items purchased using a multi-buy or discount offer, you may not be refunded the full value of the returned item. For further information email us on exchange@miss20hairextensions.com. For hygiene reasons we cannot accept back products which have been worn or if the gold hygiene ties having been tampered with, even if this is just to check suitability. Items must be returned in their original packaging, All products come in packaging which allows easy checking of colour suitability. The Consumer Contracts Regulations 2013 states “consumers will lose their right to cancel if they unseal goods that are then not suitable for return if they are unsealed, due to health protection or hygiene reasons”. If the buyer removed hygiene seals (gold ties) contrary to instructions, they are likely to be deemed to have ‘accepted’ the goods and are not entitled to a refund or to cancel the contract. Any product without the original package. After open the package, the customer may remove the hair net to match their hair colour. To aid our customers, and to remain in line with Consumer Contract Regulations, our product packaging is designed in such a manner that allows consumers reasonable opportunity to assess the product and to fully inspect the product without needing to remove the gold hygiene ties from the product before deciding whether to return it or keep it. The reason we have this policy in place is that we would not like to send you a set of hair extensions which have been used/contaminated by another customer, therefore must adhere to strict regulations for hygiene reasons. Please enclose order number, your name and reason for return. We recommend sending by Recorded or Special Delivery for your own protection. It is the customer’s responsibility to pay return postage. Please note that we cannot accept responsibility for any product that is not received. Please retain your proof of return, so you can dispute delivery with the courier used. For Example, if you send a parcel untracked and we do not receive the parcel, we cannot accept liability for the missing parcel and will not be able to process your return. We aim to process your refund as soon as we have checked your returned item. We usually turn around refunds in four working days from receipt of your return. It may then take a further 5 working days for the funds to appear in your account. If you would like further information or would like to speak with an advisor please contact us info@miss20hairextensions.com.